The Timothy J. Rutenber Award is a new award established to honor AIEA members who have rendered long-term and outstanding service to the Association. This occasional award is named for the late Timothy J. Rutenber, who served as Director of the Secretariat and Treasurer of AIEA until his death in 2004. An associate member of AIEA since 1992, Rutenber was an outstanding manager of the day-to-day affairs of AIEA and a wise steward of the Association's resources. His work on behalf of AIEA epitomizes the ideal of service excellence. In his name, awardees will be recognized at the Annual Conference for truly exceptional service of long duration to AIEA. To be eligible, nominees must be current AIEA members and have been actively involved in AIEA for more than five years. 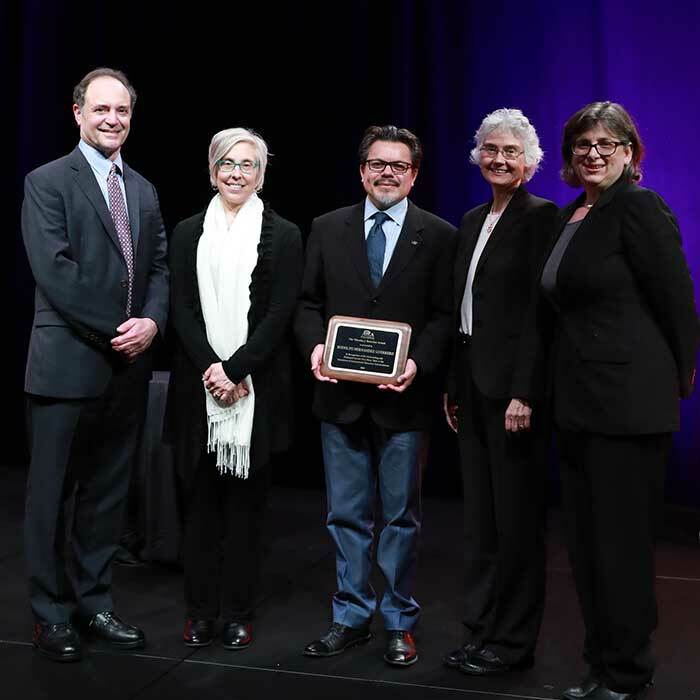 Pictured (R-L): Past President Gil Latz, Immediate Past President Hilary Kahn, 2018 Rutenber Award Recipient Rodolfo Guerrero Hernandez, AIEA President Nell Pynes, AIEA Executive Director Darla K. Deardorff. Nominations should provide specific examples of the nominee's service to AIEA and demonstrate active involvement and impact on the Association. Nominees must be current AIEA members and have been actively involved in AIEA for more than five years. 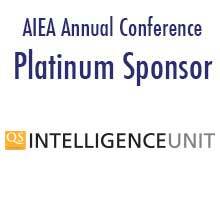 To be eligible, nominees must be current AIEA members and have been actively involved in AIEA for more than five years.